What is Office 365 Shared Computer Activation? Office 365 Shared Computer Activation allows MBS Secure customers to deploy Office 365 ProPlus, Project Online Professional or Visio Pro for Office 365 to a computer in your organization that is accessed by multiple users. For example, your dental professionals at your center can all connect to the same remote server to use their applications. With this mode, Office 365 ProPlus, Project Online Professional, and Visio Pro for Office 365 natively support RDS scenarios and it is no longer necessary to install MSI software as a workaround. 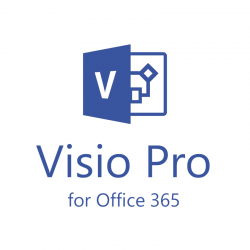 Allows you to take advantage of existing Office 365 ProPlus, Project Pro for Office 365, and Visio Pro for Office 365 licensing investments when deploying to the cloud. You can make a deployment choice between on-premises and other authorized data centers to help lower cloud infrastructure costs. Work with MBS Secure to make the right investments with the highest ROI. We are an approved SCA for Office 365 ProPlus Program provider and we can help you make the right choices. All Office 365 plans that include Office 365 ProPlus (Pro Plus, E3 and E5), Project Online Professional, or Visio Pro for Office 365. Customers who want to utilize Office 365 licensing with MBS Secure should purchase, own or upgrade to the Office 365 ProPlus, Exchange Online P1 or E3 plans.